NOVAM protects endpoints and networks by monitoring and mitigating threats automatically on global Internet of Things (IoT) devices. We also offer security teams and corporate risk management departments a forensic security investigation platform for auditing and compliance via Distributed Ledger Technology (DLT). 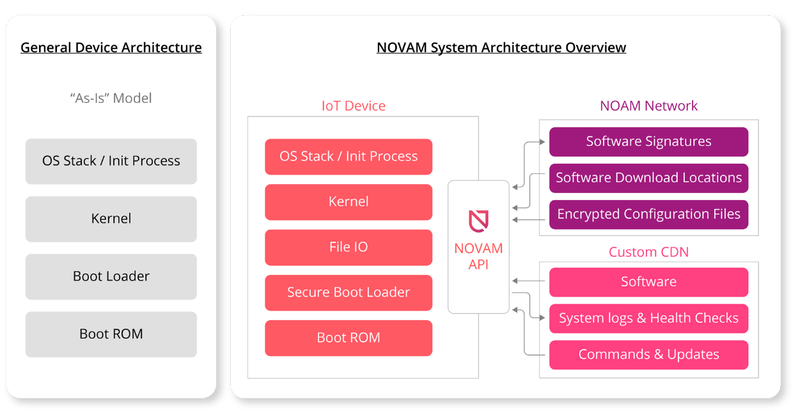 NOVAM operates at the bootloader level connecting IoT devices to the blockchain to insure through the hash that the operating system and hardware is uncompromised. NOVAM’s focus: Hardware vendors, software vendors and cybersecurity products. 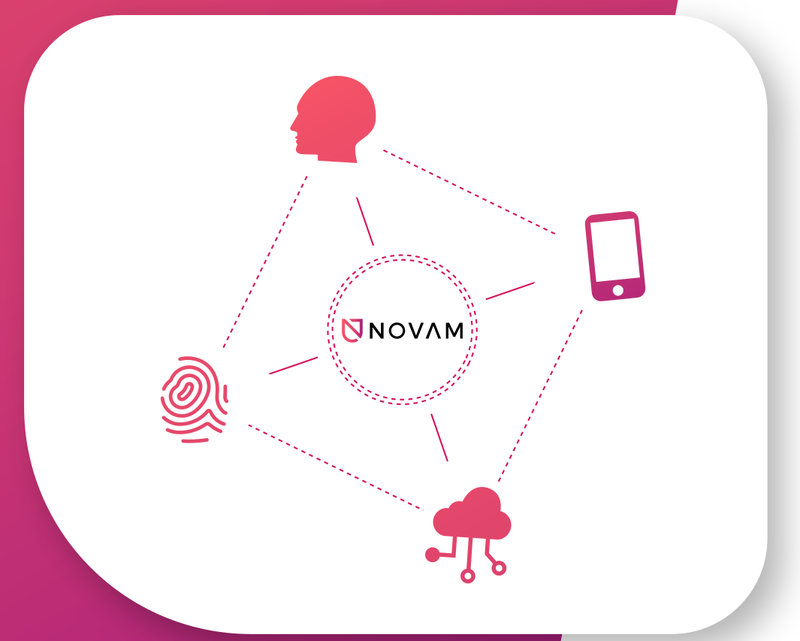 The NOVAM Token is a utility software license that provides access to our network and platform for services that include monitoring and mitigating threats, auditing and regulatory compliance. NOVAM technology allows for system health checks for user, device and network authentication and verification purposes. Many of man’s limitations have been overcome by imitating the models, systems and elements of nature to solve complex human problems – or biomimicry. NOVAM leverages biomimicry concepts by marrying artificial intelligence and distributed ledger technology to mimic the human immune system. Why? Because much like the human body, businesses, organizations and people are constantly under attack, whether they know it or not. Fortunately, just as the human immune system acts as the body’s own army, shield and counterattack against a constant stream of possible infections and toxins, NOVAM fights to protect clients against cybercrime and breaches. Immunity in tech-terms. 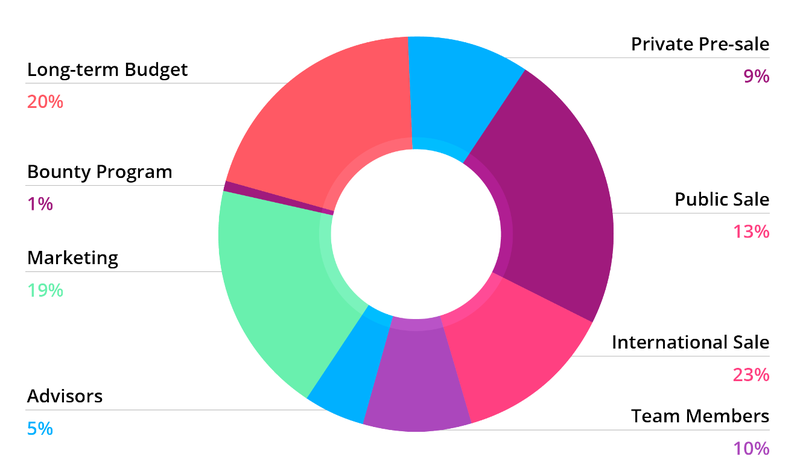 Let’s talk autonomous threat migration. A baseline of the system is taken. Anything that the system deems out of this baseline is flagged for investigation. Abnormalities and threats are then recorded on a DLT system to ensure each threat is investigated. Once on the DLT the organization has an immutable hash incident record for audits, regulatory compliance and forensics.